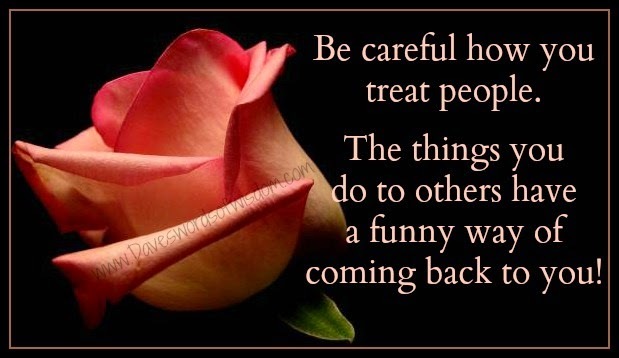 Daveswordsofwisdom.com: Be careful how you treat people. The things you do have a funny way of coming back to you. What goes around comes back around. Sometimes with a vengeance. Always great others how you would want to be treated or your family.